Some big news from Sony Entertainment today, with the 20th Anniversary Edition controller made available, as well as announcements of a Final Fantasy VII remake, Shenmue III, and Star Wars! Square Enix is hard at work on this former classic and even the stock market favourably, with Square Enix price rising by around 3%. The game is heading to the PlayStation 4 first, but it’s not an exclusive, so there’s chance we might see it on the PC and shudders, Xbox One? From the sound of it, this Final Fantasy VII remake might not be out this year. But here’s some other Playstation news first. Sony Computer Entertainment today announced that it will introduce the “DUALSHOCK®4 Wireless Controller 20th Anniversary Edition” in North America, Europe and Asia in September 2015 at a recommended retail price (RRP) of US$64, €64, RMB380 and HK$468 respectively. 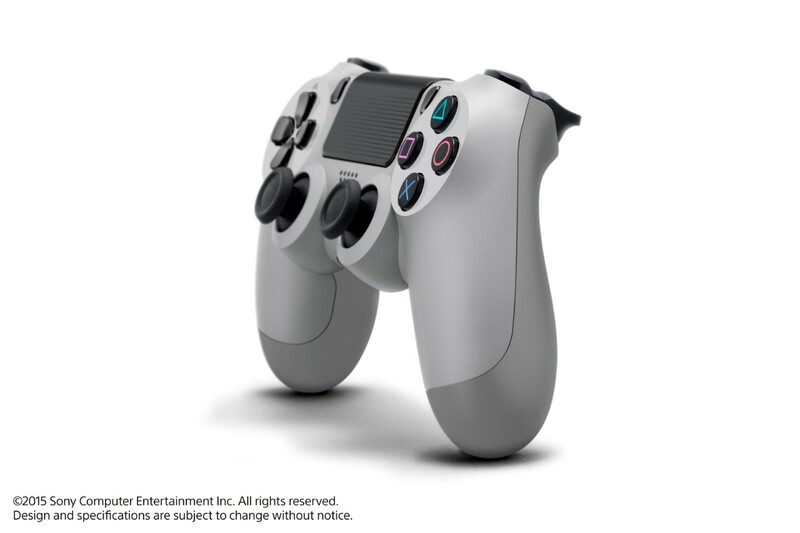 Commemorating the 20th anniversary of the original PlayStation® console launch in North America and Europe, this special DUALSHOCK 4 will be “DUALSHOCK 4 Wireless Controller 20th Anniversary Edition” comes in an iconic “Original Gray” finish with a four-color PlayStation family mark emblazoned on the PS button. Users will be able to enjoy games and other entertainment content with this truly special Wireless Controller that combines the sleek DUALSHOCK 4 style with the original PlayStation console design. Playstation Star Wars fans will have quite a bit to look forward to this year with the release of games such as Disney Infinity 3.0 and Star Wars: Battlefront. The Playstation starter pack for the Disney Infinity 3.0 would have an exclusive Boba Fett figure. But, all that pales in comparison to the next two games. Shenmue III and the Final Fantasy VII Remake! I think most of my generation, cough, would be happy. Fans have been clamouring for a Final Fantasy VII remake, which, arguably is the most famous and best of the series. It also happens to be the only Final Fantasy I have played through and completed.